Hi everyone! I am so excited to be back here sharing a new recipe with you. Just a little reminder of who I am…I am Shannah from Just Us Four. With the weather turning warmer, we are doing a lot more entertaining and so I am always looking for quick and easy recipes to throw together. 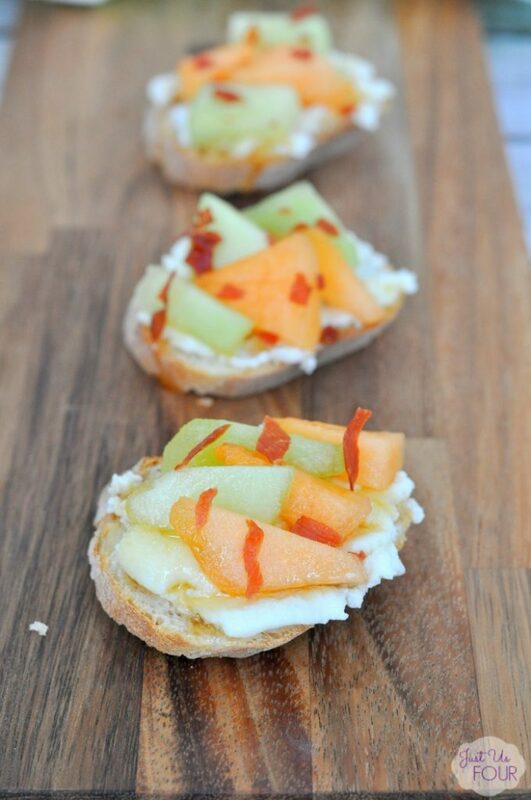 Combine fresh summer melon with cheese and prosciutto for an easy appetizer that can’t be beat. 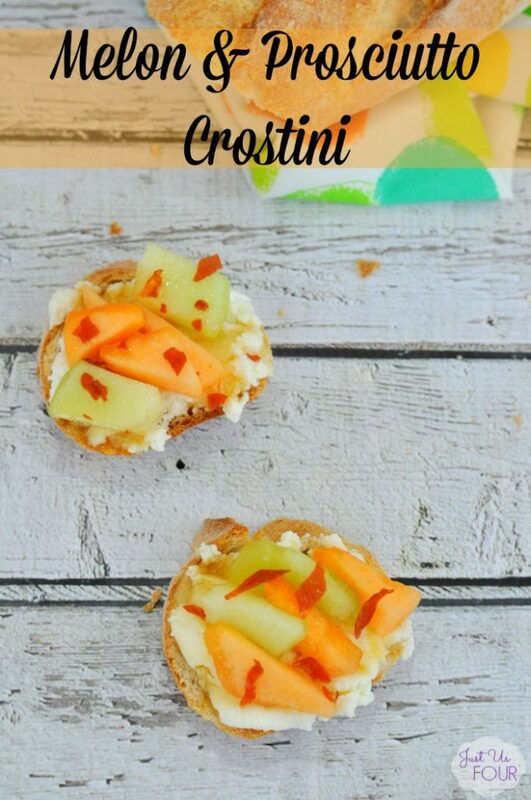 This melon prosciutto crostini is so easy to make but it perfectly combines creamy cheese, fresh melon and salty prosciutto. Be sure to make plenty because they will disappear fast. 1) Preheat oven to 375 degrees. Line a baking sheet with foil and place prosciutto on it. Bake for 15 minutes or until crisp. Remove from oven and let cool. 2) Slice baguette and brush one side with olive oil. Bake in oven for 5-7 minutes or until lightly toasted. Let cool. 3) In a bowl, stir together honeydew and cantaloupe. Spoon onto cooled bread slices. Top with crumbled prosciutto and drizzle with honey. 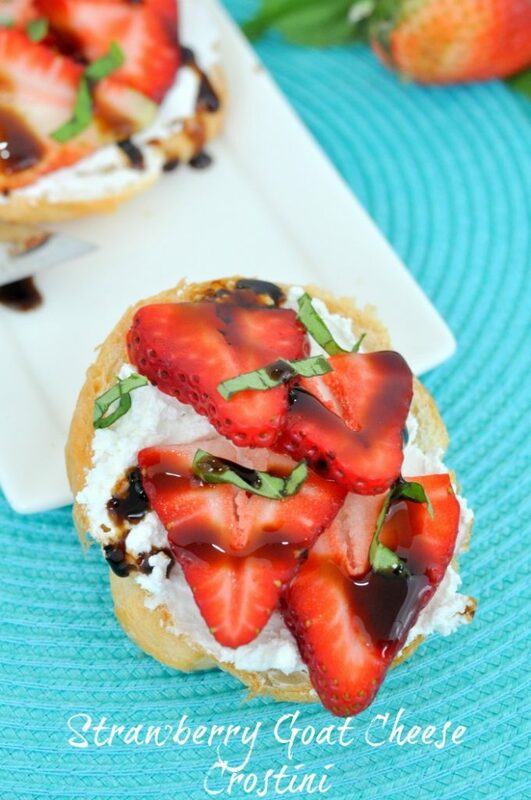 I made these crostini for a recent party we were having and they practically disappeared. I love how easy they are to put together and they look like you spent hours. I hope you will stop by and visit. 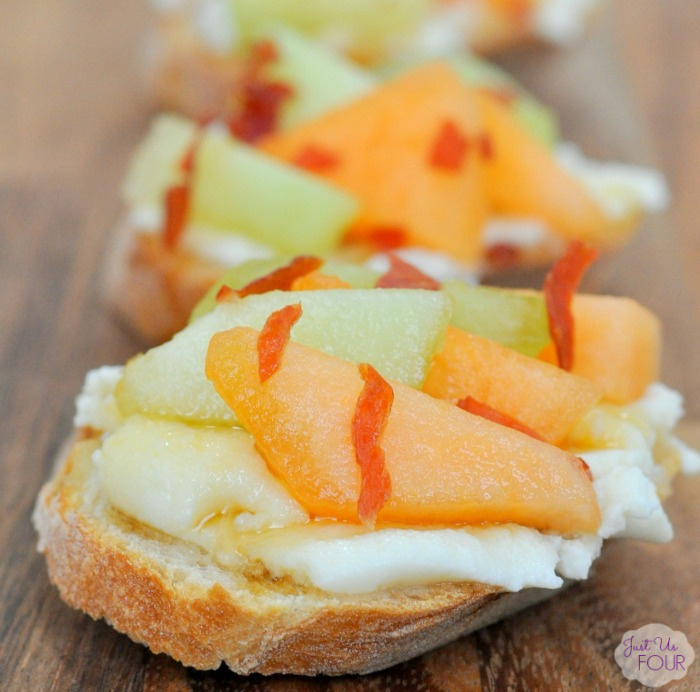 I recently shared this other crostini on my blog that you definitely have to try too.